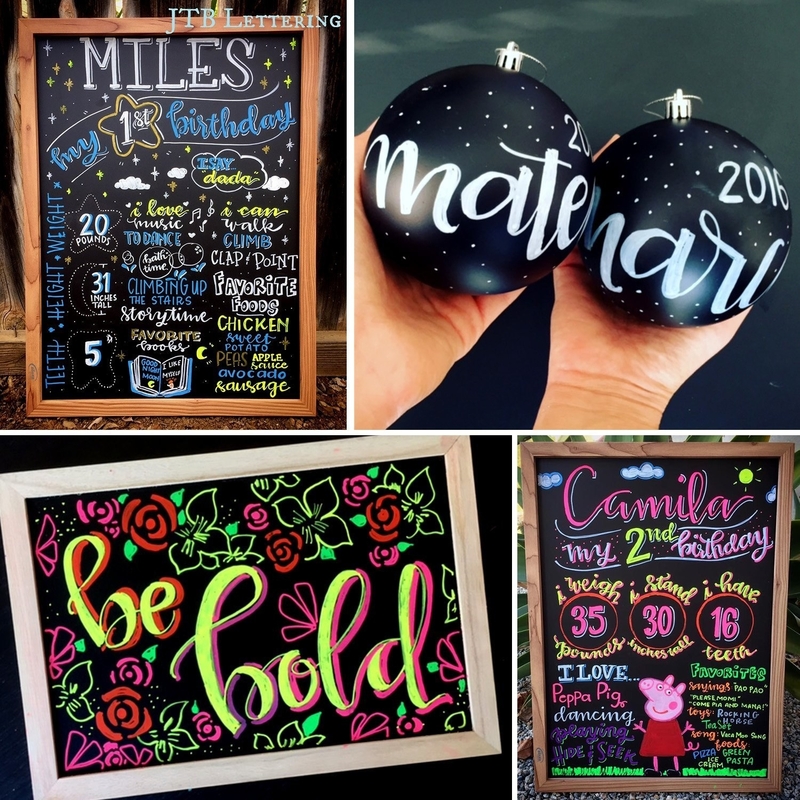 A dog poncho, an organizer mat, liquid chalk markers, and 23 other products on Amazon that hundreds and hundreds and hundreds of people absolutely *adore*. 1. A dress and belt as floral as the spring ahead. 2. A dog rain poncho that'll take your dog's cuteness rating from a 10/10 to a 12/10. 3. A slimming wallet so you can carry all your cards without having a fat wallet that makes people think you have way more money than you actually do. 4. 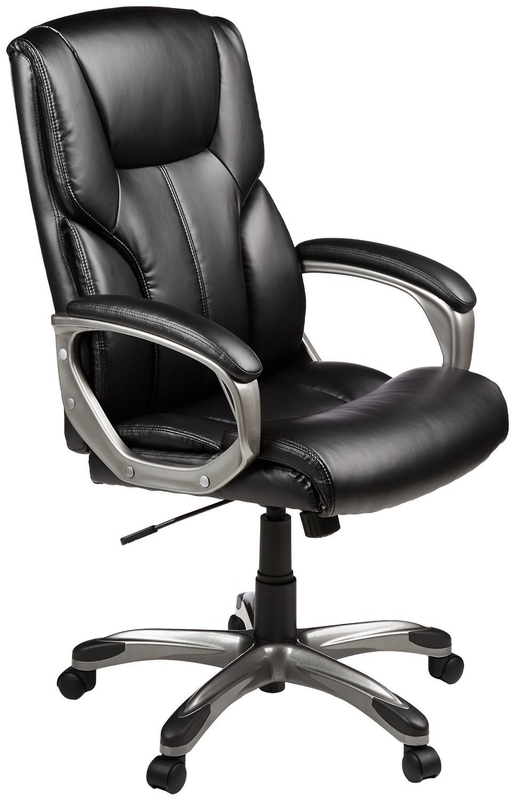 An ergonomic chair — it may help ease tension in your back if you spend eight hours a day sitting in a desk chair for work. 5. Or an under-desk bike pedal exerciser to turn your sitting into cycling. Promising review: "I HIGHLY RECOMMEND THIS! 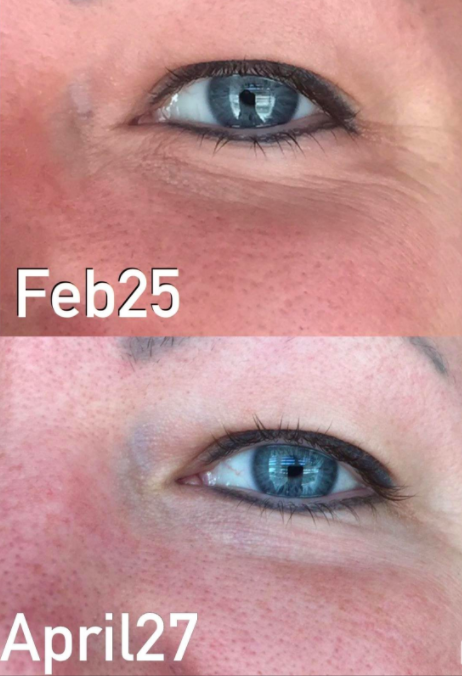 This product has changed my life! Seriously. I have recommended it to everyone in my office. I have had this product since 2015 and use it every day. Many of my office colleagues have gone on to buy one. I have lost over 40 lbs. since purchasing it, going from a size 14 to 4/6. As a full-time working mom, I have little to no time to exercise at home, so having this in the office under my desk is the BEST purchase I have EVER made. I think the company should give me commission for how many people have bought this after my recommendations! My office now looks like SoulCycle! Please do yourself a favor and purchase this! Oh, and you're welcome." —Lauren S.
6. A shampoo and conditioner set with all-natural ingredients like Moroccan Argan oil, rosemary, and aloe vera for commercial-worthy locks. 7. A lined shower cap which will fully protect your hair on non-wash days (aka most days). 8. 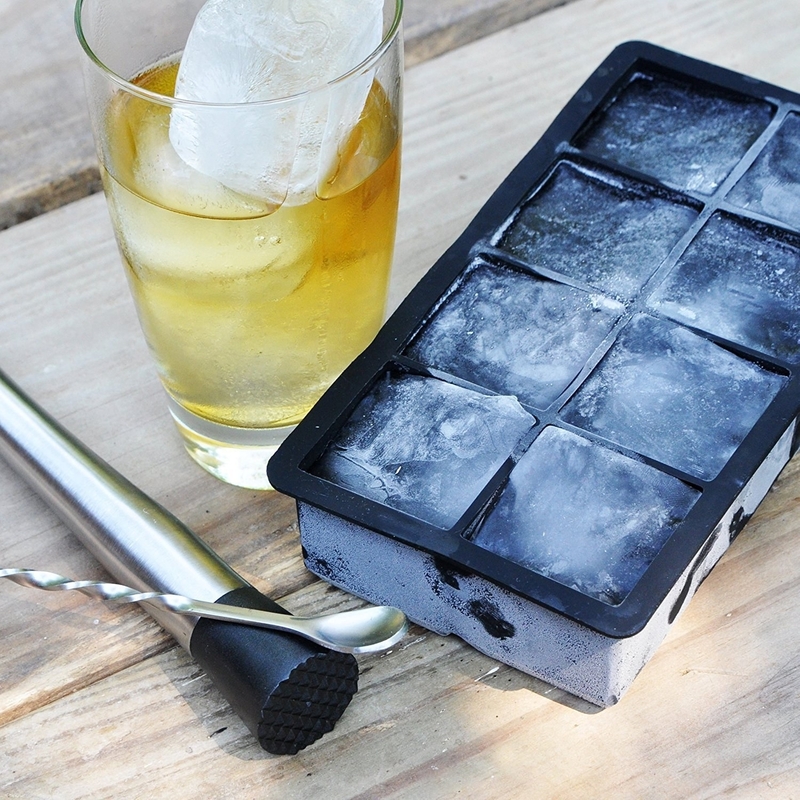 A set of two silicone ice cube trays to make large ice cubes that won't melt instantly or to get creative with different sweet treats. 9. 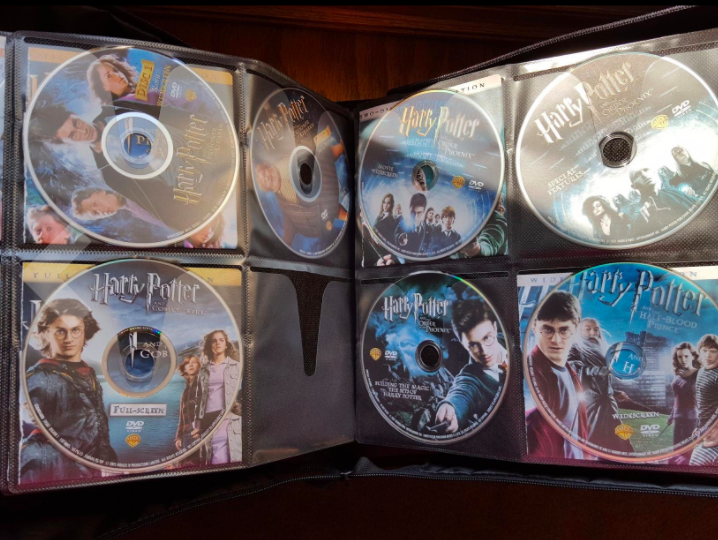 A CD/DVD case for organizing and protecting the hundreds of CDs and DVDs you just cannot part with even if you only listen and watch things digitally now. Promising review: "I was looking for a huge binder to put all our DVDs in because they take up so much space! I looked at Walmart and it was going to cost me $50 for a binder this size! I checked out Amazon before I bought it and I am so glad I did! This is just as good of quality as the other ones I was looking at and at a fraction of the price! It seems too good to be true but it really is a great binder! If you are looking for something to hold all your DVDs and or CDs then this is perfect! The case completely zips closed so you don't have to worry about any of them falling out or anything. Also the discs fit in the sleeve snug enough that they will not just be falling out on their own, but are also not so tight that you can't get it out. 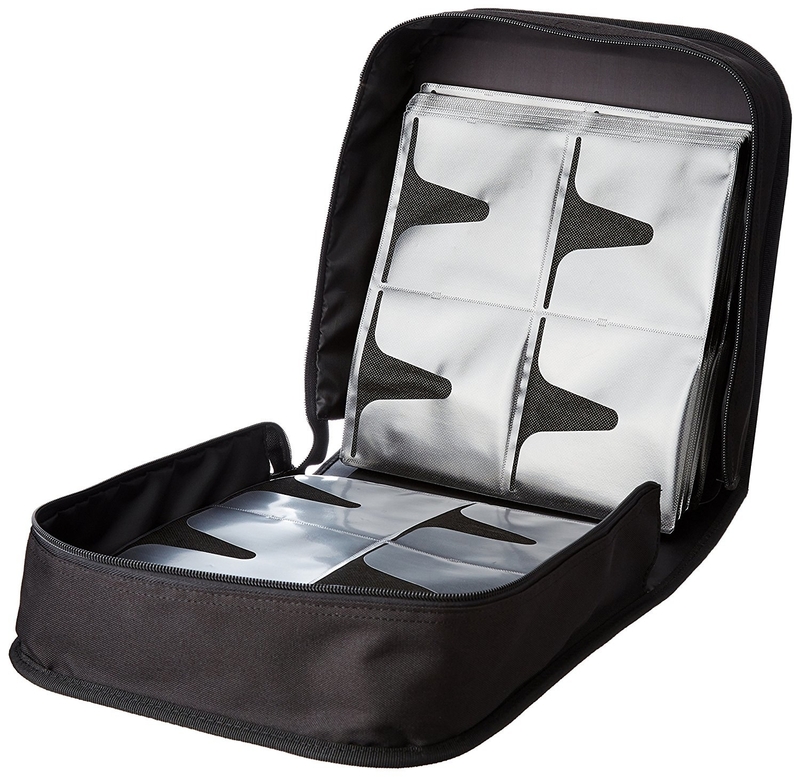 I love this binder and would highly recommend it! You can't beat the price!" —Jessica B. 10. A kid's chin supporting travel pillow that'll keep your little car napper from getting a cramp in their neck. 11. A set of acrylic canisters so you can display your treats in all their delicious glory! 12. A cat water fountain ideal for finicky felines who refuse to drink from basic bowls. 13. 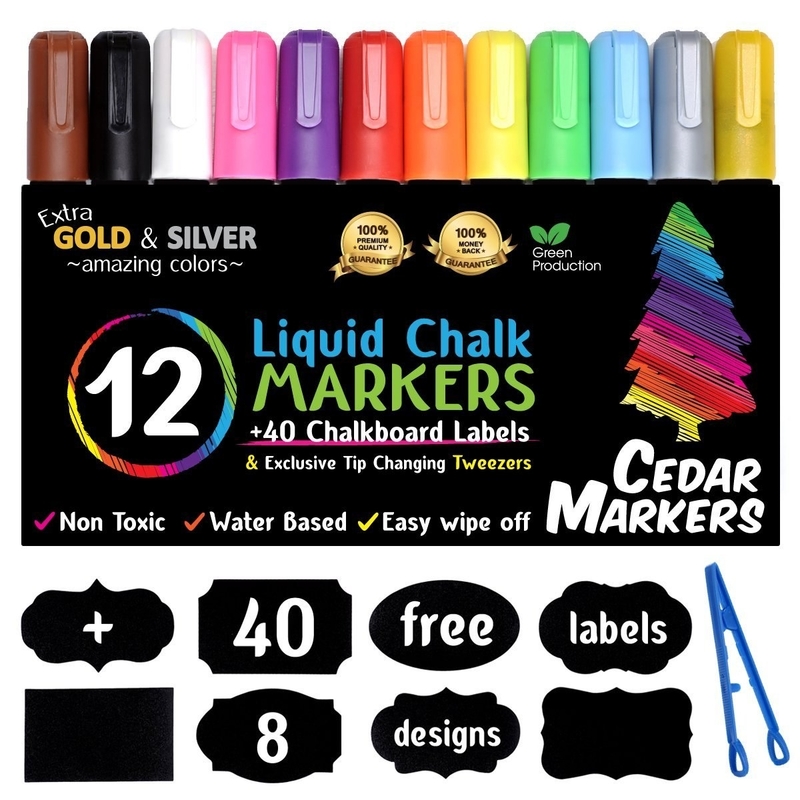 A set of 12 liquid chalk markers to up your chalk art game! 14. A set of nine flameless candles that'll set the mood without any risk of being knocked over and potentially ruining the night. Comes with a remote. They can be manually turned on/off or programmed to turn on/off at specific times. 15. A Crock-Pot food warmer to make eating leftovers for lunch more enjoyable. The removable food container and lid are dishwasher-safe! 16. 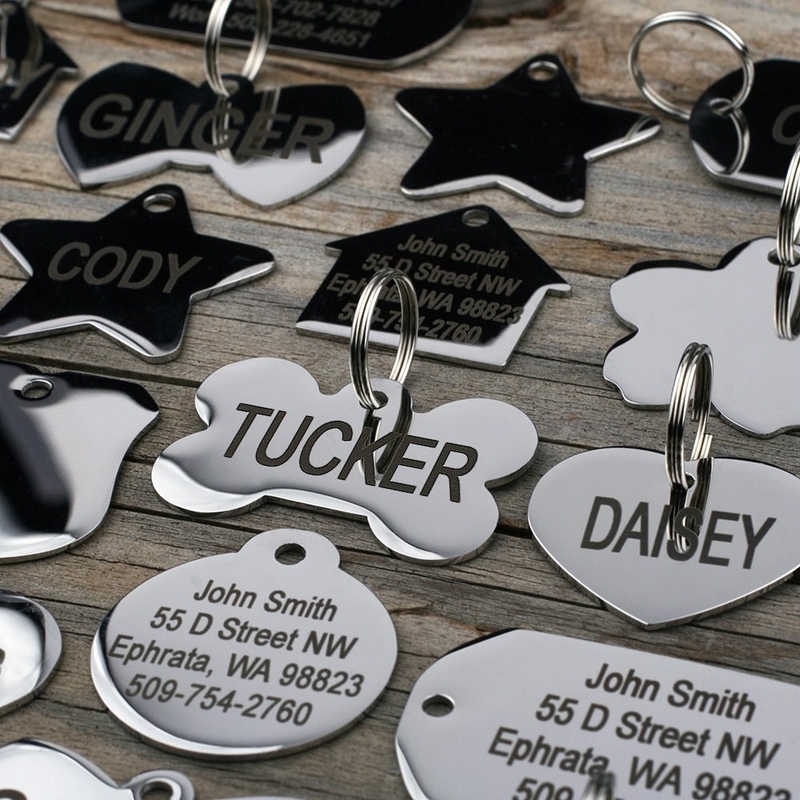 A stainless-steel pet ID tag so your furry baby can always be properly identified and returned to you in case they ever get lost. 17. A rock 'n play sleeper that'll rock your little one for up to six hours so you can get some much-needed sleep yourself. Promising review: "I originally got a regular rock 'n play from my registry, but returned it immediately when I realized I would have to rock it myself. (What is the point of technology if not to stop your baby from screaming so you can get some sleep?) This thing is a GEM! There is a 30 minute rock to sleep for genius parents whose children are apparently sleeping angels. 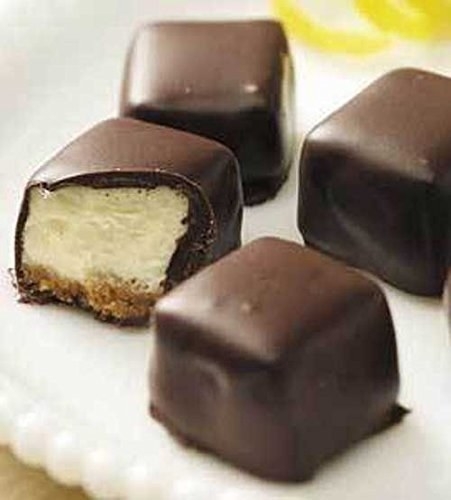 And then there's the 'good stuff!' a six hour button, for those of us with normal babies who wake up screaming the minute this thing stops. Yes, if I want eight hours of sleep I quickly restart this while my baby is asleep. There is also a button that cycles through some nursery songs and white noise, which is such a great addition. This machine may have saved my life...no, it definitely did." —Allie S.
18. 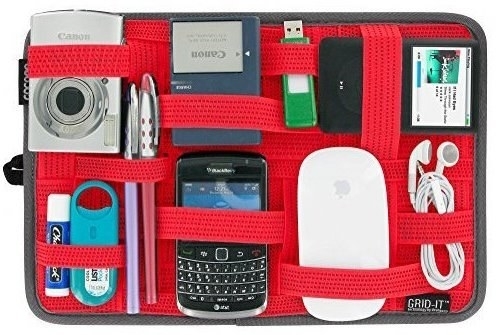 A organization mat to help get you organized once and for all. Promising review: "This is great for keeping track of multiple cables, power adapters, headphones, USB drives, etc. The zip-up pocket on the back is great for storing things too small/big for the grid or that you just don't have room for. It makes traveling a breeze. Instead of having to round up all the cables I need to bring with me, I already have extras of everything I need in the Grid-It so I can just grab it and go. Now I don't have to search my bags and sort through all sorts of accessories floating around loosely. My backpack is so much more organized now that everything isn't spread around in different pockets and floating around loosely. The possibilities of what you can use if for are endless. 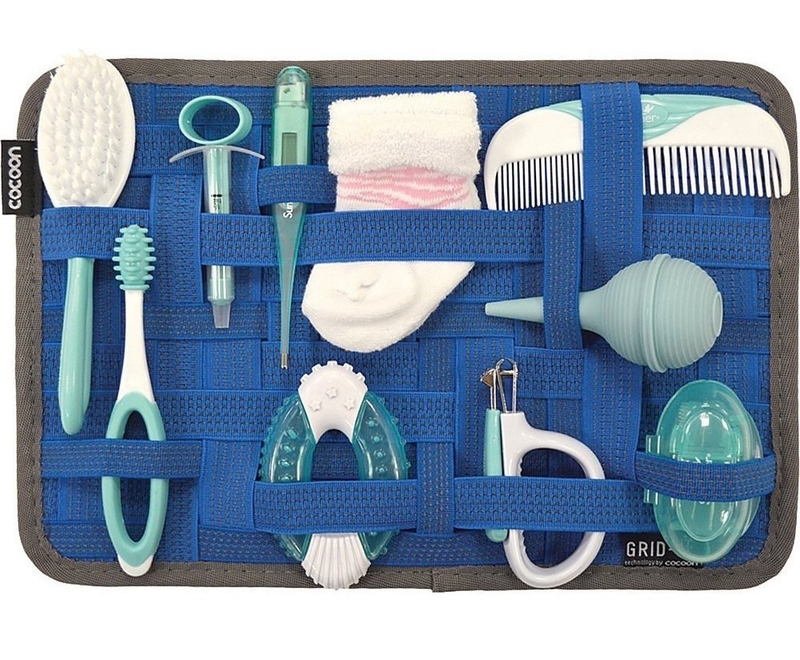 The grid system includes straps in multiple sizes and endless ways to configure/organize your stuff. 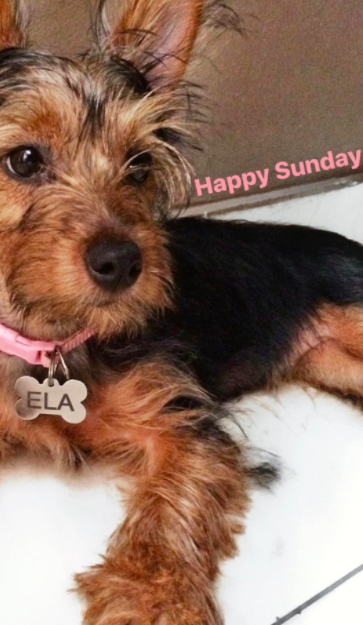 I plan on getting a couple more of these in smaller and bigger sizes." —John B. 19. An extra thick yoga mat comfy enough for exercising but not so comfy that you'll want to give up and nap on it instead. 20. A set of 50 velvet hangers that are super thin so you can fit even more clothes in your closet. 21. A reading pillow for kids or adults who want a little extra comfort in their lives. 22. A Ninja blender system to replace all the other single-function blending tools in your kitchen! Set includes motor base, blender pitcher with lid, food processor bowl with lid, two cups with to-go lids, recipe booklet. Dishwasher-safe. 23. A pair of rain boots because "Spring is coming" and Ned Stark (RIP) would want you to be prepared. 24. 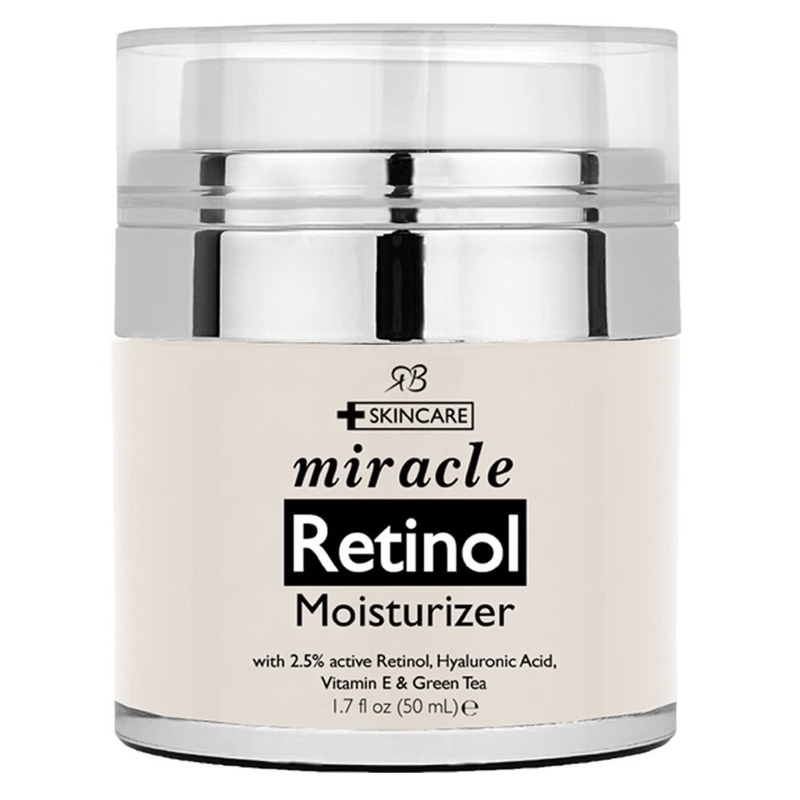 A moisturizer packed with retinol, Hyaluronic acid, vitamin E, and green tea that'll improve your skin's texture and tone. 25. A K-cup holder drawer for a discrete and organized way to store K-cups. 26. A knife sharpener to bring your blades back to life so you don't have to waste money on a new set. Read a BuzzFeeder's full review.